I don’t know about the weather in your neck of the woods, but it is H.O.T and fabulous in SoCal at the moment. 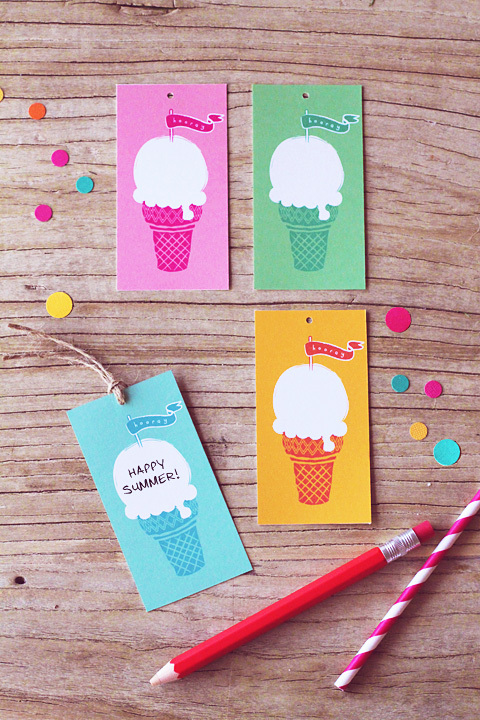 These fantastic free ice cream gift tag printables from Amy Moss at Eat Drink Chic, match my mood to a T. Ice cream & summer go hand and hand. Such a happy little set of tags. I’m sure you’ll find some great ways to use these darling things. Have a happy Friday and see you next week! This entry was posted in free and awesome, printables and tagged amy moss, eat drink chic blog, free downloadable files, free gift tag printables, free ice cream tags, free printables, ice cream printables, printables by Annika. Bookmark the permalink.